Is “Let It Go” the New Anthem for Downsizing Seniors? Downsizing (or my favorite word”resizing”) seniors need to embrace the theme from the wildly popular song from the movie Frozen– “Let It Go”! One of the biggest obstacles to downsizing/resizing is the task of sorting, discarding and deciding what to move and what to keep. We resized last year and found making decisions about furniture much easier than making decisions about which clothes to donate. It seems I suffer from ….”I might need this in the future” syndrome and finally had to get realistic about what fits and then donating clothes that were outdated, wrong size and probably hadn’t been worn in 10 years. Stacks labeled yes, maybe, lose 10 lbs, lose 20 lbs, not sure and no were strewn all over the house. It’s hard to “Let It Go” because you never know when you might need it again! The insanity stopped when realized if I hadn’t worn something in years,,,packing it, paying for storage and unpacking it was really, really stupid. 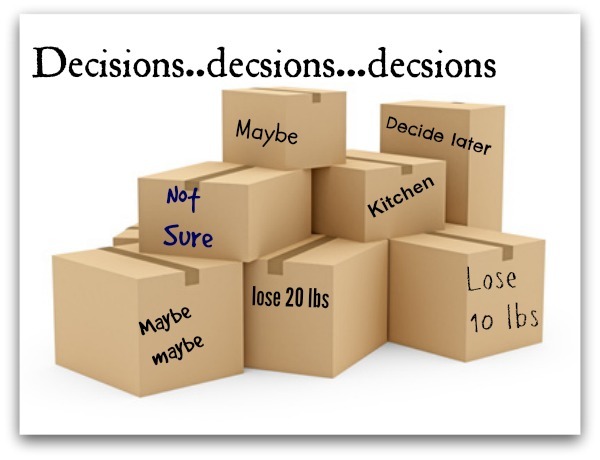 The next set of decisions covered whether to sell and/or donate furniture and household goods (excess tupperware, extra flower vases….). Our first instinct was to sell-but having gone through the process with many clients, I know the market for used furniture is limited and selling can take time. So for us- making a donation was the best option. Obviously if you have family or friends living in the area getting rid of extra stuff becomes easier if they are interested in taking ownership of items you no longer want to keep. This really comes in handy if you’re staging your property for sale and need the furniture to stay in place until you sell. EBTH.com -Every Thing But the House might be another option if your things are somewhat valuable. This online auction site offers a variety of services and may be worth contacting if you want to sell collectibles or high end furniture. Looking to donate- lots of charities will pick up bags from your front porch. A few will actually remove heavy furniture. Churches, places of worship, local schools and foodbanks are also looking for clothing and items to assist families in need. So once you’ve decided what items you’re donating start figuring the best way to move the items to their next destination. Personally I kept some serving pieces and glassware that have dates on the boxes. If I don’t use the items by the date on the box -they’re destined for the donation stack. Anyway you look at it moving is lots of work. Moving into a different size or layot can add stress when you try to find places to store items. Make it easy and “Let It Go” prior to packing and moving.